Sarah Nader - snader@shawmedia.com Tommy Hannan (left), 7, of Island Lake throws a snowball at Keifer Besterfeldt, 8, of Crystal Lake while playing the the last remaining snow at Veteran Acres Park in Crystal Lake on Monday, January 30, 2012. Tuesday's temperature is suppose to be unusually high at around 50 degrees. 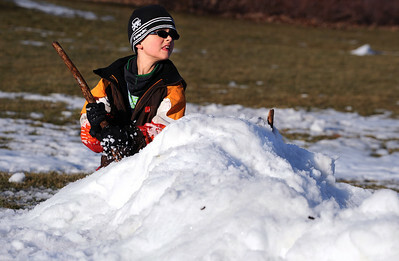 Sarah Nader - snader@shawmedia.com Brandon Horning, 8, of McHenry builds a fort with the last remaining snow at Veteran Acres Park in Crystal Lake on Monday, January 30, 2012. Tuesday's temperature is suppose to be unusually high at around 50 degrees. 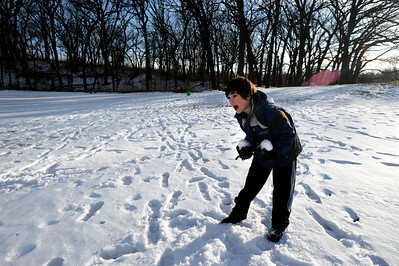 Sarah Nader - snader@shawmedia.com Garett Besterfeldt, 10, of Crystal Lake is ready to attack while having a snowball fight with the last remaining snow at Veteran Acres Park in Crystal Lake on Monday, January 30, 2012. Tuesday's temperature is suppose to be unusually high at around 50 degrees. Sarah Nader - snader@shawmedia.com Firefighters put out a shed fire Monday afternoon at Dunham Twp Highway Dept in Harvard on January 30, 2012. 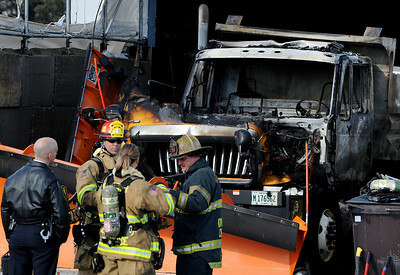 The fire destroyed a plow truck that was in the shed. 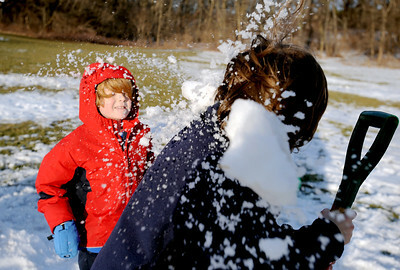 Tommy Hannan (left), 7, of Island Lake throws a snowball at Keifer Besterfeldt, 8, of Crystal Lake while playing the the last remaining snow at Veteran Acres Park in Crystal Lake on Monday, January 30, 2012. Tuesday's temperature is suppose to be unusually high at around 50 degrees.